I always thank my God as I remember you in my prayers, because I hear about your faith in the Lord Jesus and your love for all the saints. I pray that you might be active in sharing your faith, so that you will have full understanding of every good thing we have in Christ (Philemon 1:4-6). 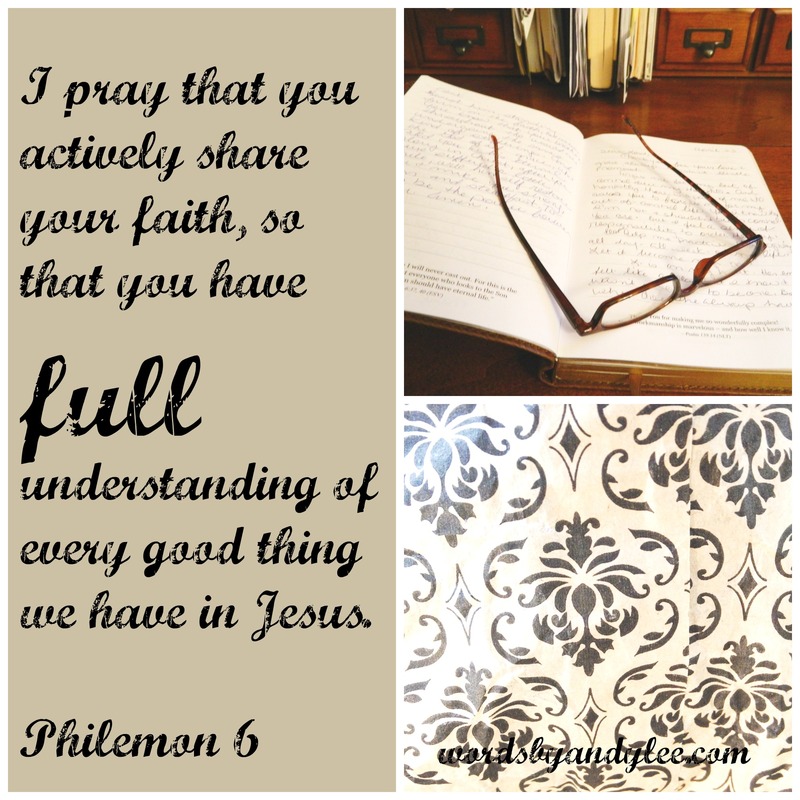 The book of Philemon was a private letter written during Paul’s first imprisonment in Rome. It amazes me that even while stuck behind bars, Paul’s ministry was great–perhaps greater than it would have been if he hadn’t been in jail. Because he was imprisoned, his letters minister to us today. The world would see this as ironic, but eyes of faith know better. Yet, how many of us wish our ministries or lives looked differently? How many of us think we could do so much more if we were in different circumstances? 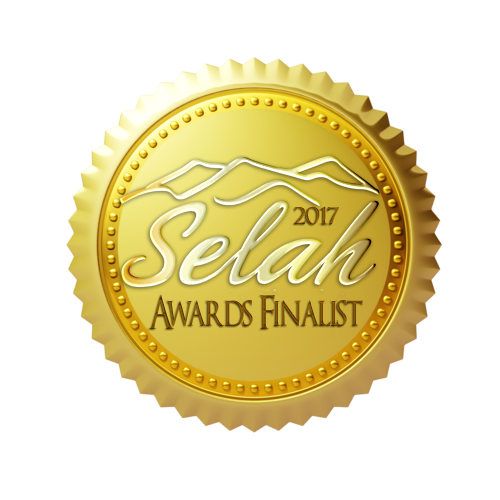 But Paul’s life is a perfect example of bad circumstances being used for God’s glory in big ways Paul himself could never foresee. I love the promise given in this verse. Paul pens that sharing our faith results in a full understanding, a knowing, of every good thing we have in Christ. What are some of those good things? How about freedom, joy, love, peace, purpose…. I’m fully convinced that Paul’s faith grew while in those prison cells because of the letters he wrote. 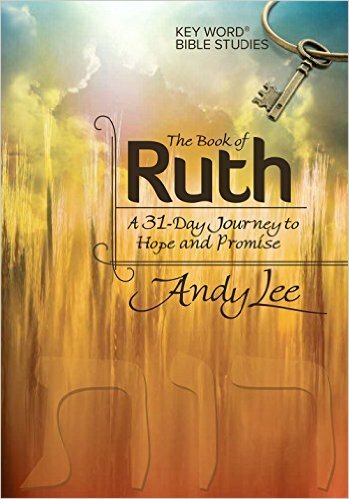 With each pen stroke encouraging others in their faith, he experienced greater faith, and peace, joy…hope. Had he thought his ministry was silenced in prison, he would’ve sat there bitter and confused. My focus set on me works like a ball and chain, but I find freedom and deep satisfaction- a full understanding of every good thing in Christ, if my focus is off of me and on sharing Jesus everyday somehow, someway. This may require a lot of prayer. Go make a difference for the Kingdom. Have you experienced the joys of Christ while sharing the good news with others? Please share your experiences. 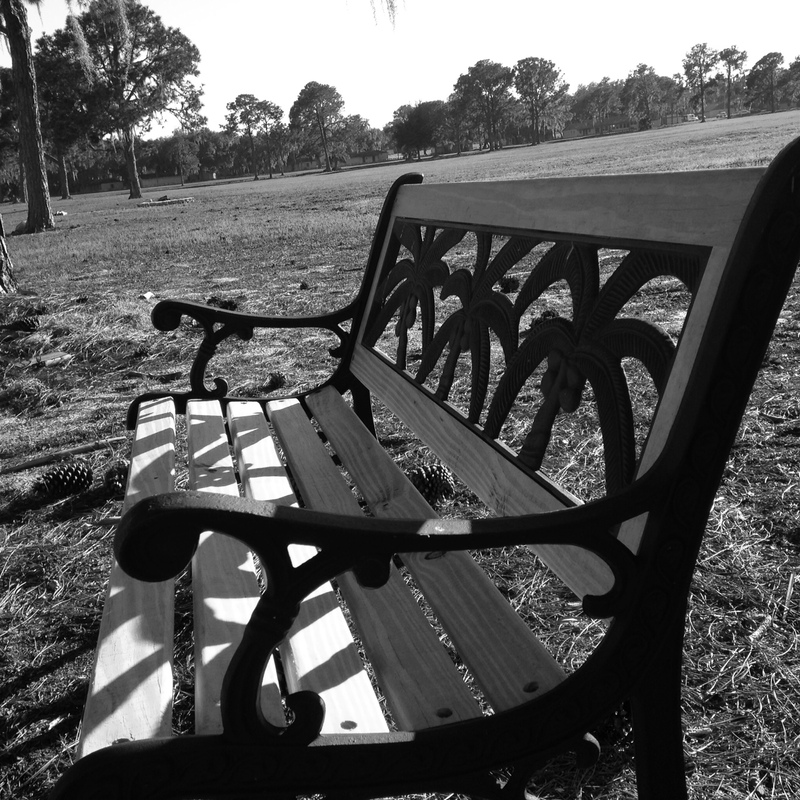 I’m linking up with Fellowship Fridays and Essential Things Devotions. Andy Lee Be the gospel. Do you wish you were somewhere else? full understanding of every good thing in Christ. I pray that you may be active in sharing your faith Wordsbyandylee You are right where you're supposed to be. For a tiny little book, Philemon is FULL of great stuff. 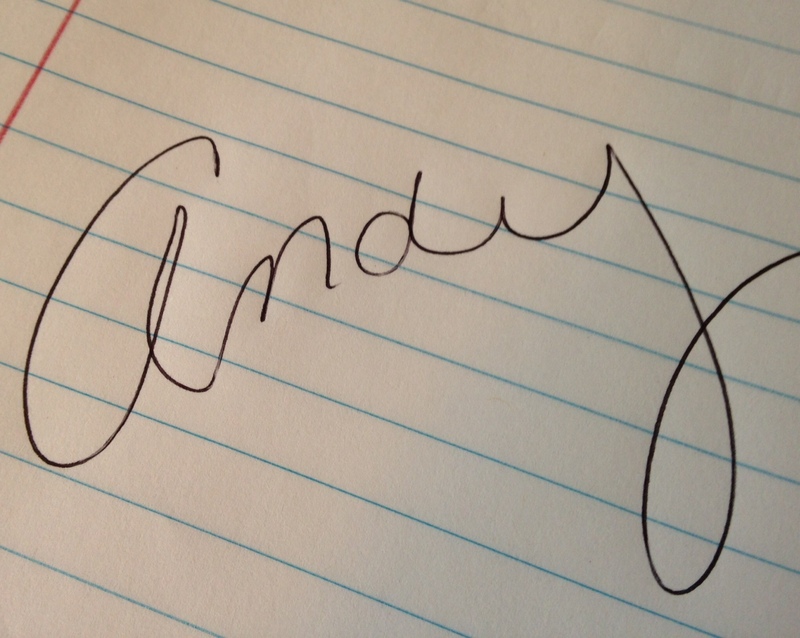 Hope, forgiveness, Reconciliation….and you are so right, Andy. I need to keep my focus on the big picture – God at work all around me. He has plenty for me to do in my corner. Thanks for reading and commenting Jeanne. I know God is using you! Thanks for such a powerful devotion. It is so true that we are always thinking of the something else or the somewhere else we want to be. God has us right where He can reach us. Blessings! Visiting from Fellowship Fridays. Thanks for visiting and commenting Michelle! Blessings. Andy, Thanks. I needed this today. I was dreading today. Now I’m not. I was focused my circumstances. .
I’m praying for you, Sondra. I’m so sorry for those circumstances. I pray for some joy even in the sorrow of saying goodbye. 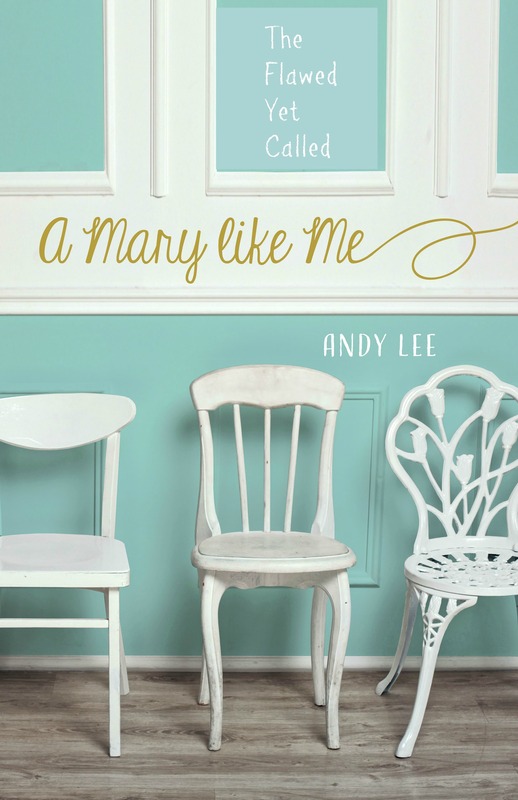 Andy, I find that being other-centered is always good for my spirit. If I’m in a low place, often forcing myself to do something kind or reaching out to someone prevents a poor, poor me pity party. It is sometimes very difficult to do. Amen! Thank you for sharing Cathy. It does pull us out of the muck when we help others.